Hard copy documents can be difficult to arrange, organize and carry. For this purpose, plastic folders were made. They are becoming more and more common with people in all walks of life. You may spot students and office workers carrying plastic folders containing important documents in their hands. 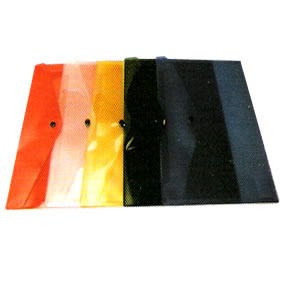 Plastic folders come in different sizes, colors and styles. Grab the best plastic folders from Giftwrap, which offer different styles at affordable rates. There is “re-usable envelopes”, “basic document pocket” and “expandable document pocket” available at GiftWrap for you to choose. Each type comes with distinct feature and in different vibrant and appealing colors to cater the need of everyone. The expandable document pocket is created to give an extra space for documents to be organized and carried. These plastic folders are easier to label so that you can get the required document at the right time without any difficulty. Business entities can use these plastic folders for their marketing purposes by engraving their name and logo on it. In this way, they can grab more and more eyeballs at a minimum cost.